Bring style, storage and extra seating into your home with this versatile storage bench. 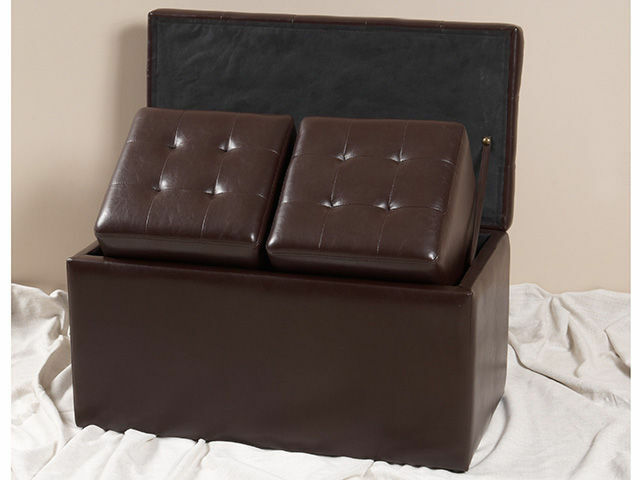 Brown polyurethane upholstery covers both the storage bench and two cube ottomans. Delicate tufting and stitch detailing finishes this multi-function piece.